and we'll come out to take a look . wet basement repair estimate | basement waterproofing solutions | basement waterproofing contractors. Our technicians have been repairing and waterproofing basements for many years in the Toronto region from the lakefront to Barrie and from Halton Hills to Oshawa. From decorative concrete that may be located in and around your home or commercial structure, to foundation concrete repairs, and to assessing and fixing any issues leading to leaking problems, we our experts will provide solutions with total satisfaction. When we treat your premises, no need to worry, we will generate results that will be virtually trouble free and permanent, this is the workmanship and total warranty you can count on. We stay in business with our referrals and repeat business, and your satisfaction is the most important thing to us. What can cause the leaky basement problems you might be experiencing? ​Ask us about waterproofing for the above grade, hard surface of a building's exterior. We use environmentally safe waterproofing solutions for all exterior masonry surfaces. The solution is specifically designed for porous materials such as stucco, mortar, brick, stone tile, limestone, natural and synthetic stone. Clear, odorless, this liquid forms a water resistant barrier, protecting the building from water penetration and even pollutants that can cause progressive damage to the structure. When is it time to call someone to repair our basement wall? If your basement is cracked and discolored in places, or wet spots are forming, or if you are noticing musty smells – then it's time to give us call. We specialize in locating and repairing leaks with the latest methods, and with our experience in finding and fixing moisture, flooding and water seepage, we know how to get your basement back to the safe and dry condition that you expect. 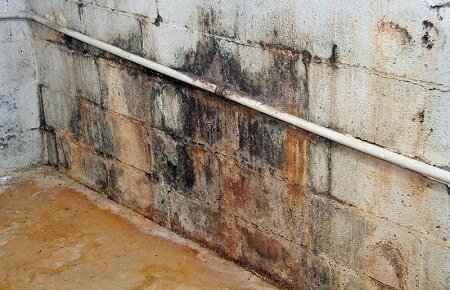 ​We have been fixing basements; waterproofing and caulking them for 15 years. We are based in Toronto and Vaughan but we service the entire GTA and more.